It is common for organizations, NGOs, research institutes, etc. to conduct surveys to understand a group of people's knowledge about a particular topic or subject. This helps to understand that group's concerns and opinions about the particular issue. 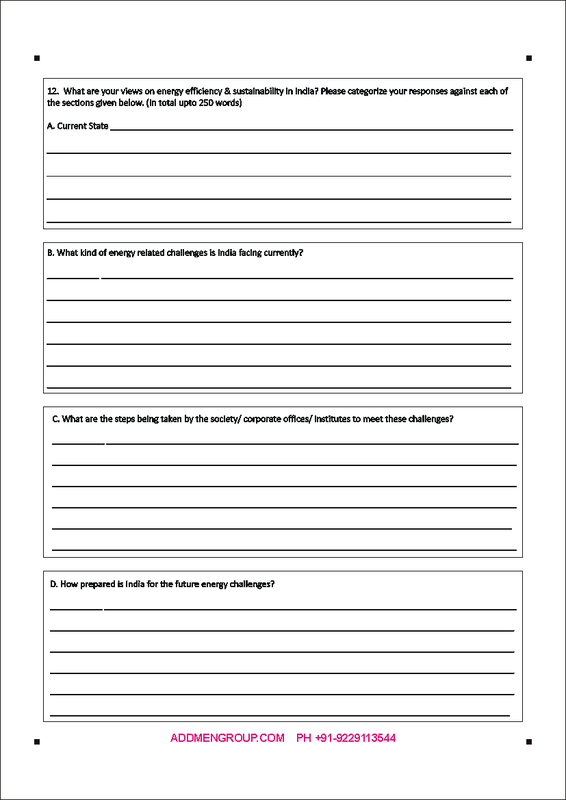 Here we have provided a survey form that is prepared to know the opinions of the youth in India about energy conservation. 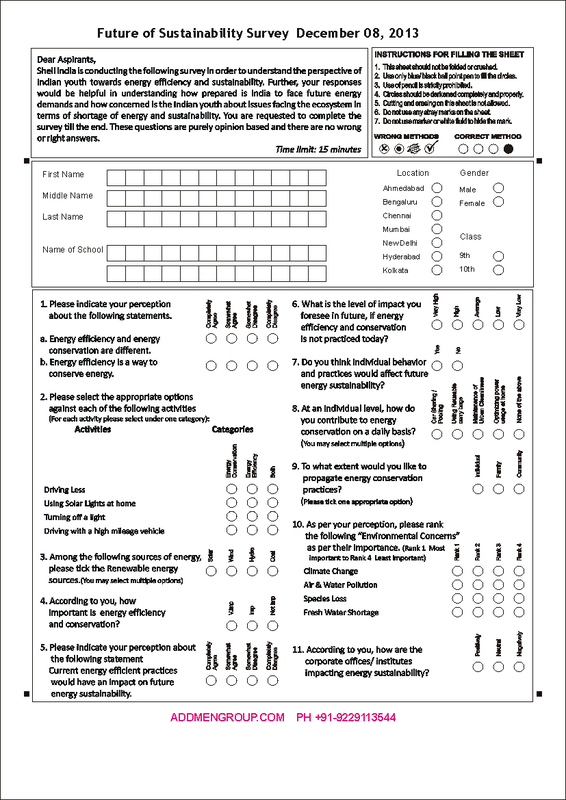 As this survey is to be taken in several schools across India, the OMR form is used to assess the sheets quickly. This survey form begins with a note by the organizers of this survey, i.e. Shell India. This note tells the purpose of the survey and what is expected of the students who fill this form. Students are asked to fill the entire form and are also asked not to worry as to whether their answers are right or wrong. This is because it is an opinion-based survey. Students are asked to complete filling the sheet in 25 minutes. Instructions for filling the sheet are also provided at the beginning of the sheet. The correct filling method and other such instructions are provided so that the students fill the sheets properly. The next section of the sheet is where the students have to provide their personal details. These include first name, middle name, last name, school's name, location, gender and class. The next section is where the actual survey begins. There are 11 questions in total and each question has different judging parameters. The students have to pick one option for each question as well as sub section (as in case of the first question) and mark the bubble completely. It is possible to read this survey on awareness of youth for energy conservation using OMR form reader software. The software reads the data and transfers it to an Excel sheet so that the user can assess it and gather the conclusion of the survey.